Welcome to the Abbots Leigh Village website. Here you will find out what is going on in the village as well as information on its history, people and places of interest. If you are new to the village, please download the Welcome Pack. 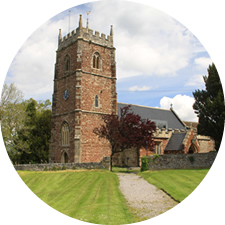 Abbots Leigh is regarded by many as one of the most sought after villages on the outskirts of Bristol with its own church, public house and village hall. Clifton Village is about two miles away across Isambard Kingdom Brunel’s world famous Suspension Bridge and the city centre only three and a half miles. Junction 19 of the M5 gives access to the UK motorway network in less than three miles and Bristol International Airport is about nine miles. A variety of beautiful walks including Abbots Pool and the Avon Gorge (a designated area of outstanding natural beauty) are on offer quite literally from the doorstep. For any enquiries about the website, please contact the Webmaster. There was an ancient settlement at Abbots Leigh in Anglo Saxon times: the original name was ‘Lega’ a Saxon word meaning hill or meadow. The village has a wealth of history with a place of worship on this ridge of land from the 11th century. After the Norman Conquest, William I gave Lega to the Bishop of Coutances. The manor house was situated near the present day Leigh Court and became the rest house for the Abbot and Monks of St Augustine’s Abbey in Bristol. Gradually the name ‘Lega’ changed to Leigh and later ‘Abbots’ was added to distinguish it from other places called Leigh. In 1811 the whole of the Leigh Court Estate, which included the village of Abbots Leigh, was sold to the Miles family. They demolished the old Tudor manor house and the present day Leigh Court Mansion was built. The Village was sold by the then Sir Charles Miles at auction at the Grand Hotel in October 1915 in order to pay death duties. Today our village is a thriving local community with a wide range of activities. Many of these take place in our local Village Hall, which has become a focal point of entertainment ranging from dramatic productions to keep fit sessions and celebrations.